As my friend Dezel likes to remind me, John Adams drank a tankard of cider every morning as the cider industry was a major feature of the colonial landscape. And in Virginia other presidents like Washington and Jefferson produced cider on their plantations with Jefferson known for his champagne-like cider produced using Virginia Hewe’s Crab. Cider was big business. Obviously the industry slowly dwindled to outright cessation during Prohibition; but in recent times cider has begun to rebound. It is the fastest growing segment of the alcohol industry. There have been many catalysts for this resurrection nationwide, but in Virginia I believe the primary spark was ignited by Diane Flynt and Foggy Ridge Cider. She introduced the concept of Virginia cider to many of us bloggers and was instrumental in creating Cider Week Virginia in order to showcase the rising industry. 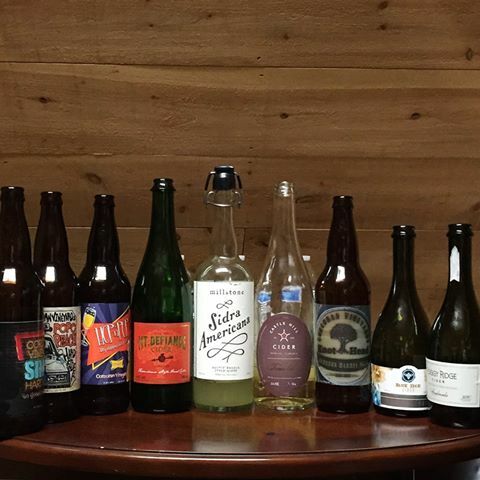 The first Virginia cidery procured their license in 2004 and today there are 18 cider producers in the Commonwealth with a dozen currently operating. The largest winery in the state is a cidery and Virginia cider is distributed from New York to New Orleans and west to California. 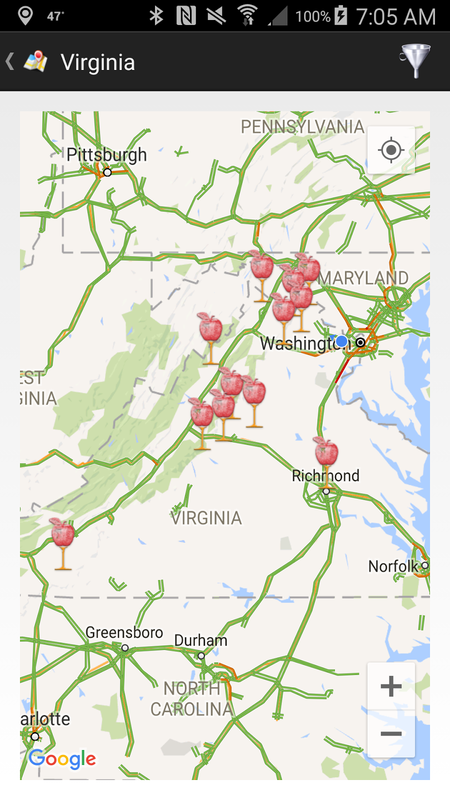 And here's what to expect if you purchase or visit a Virginia cidery (theCompass can assist in that regard). 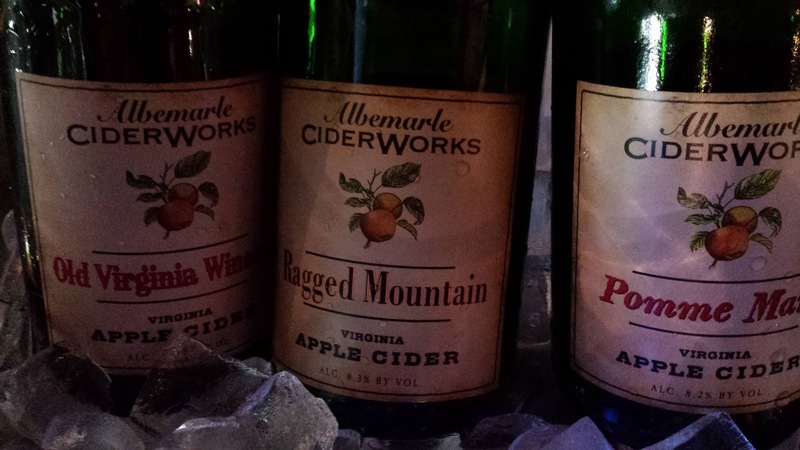 Located in prime apple country in northeast Virginia, this operation is based out of co-owner Diane Kearns' Fruit Hill Orchard and specializes in English style ciders from cider maker\co-owner Stephen Schuurman's native country. Their canned Malice is representative of an East English cider and is unfiltered, juicy, and acidic. Nicely done. 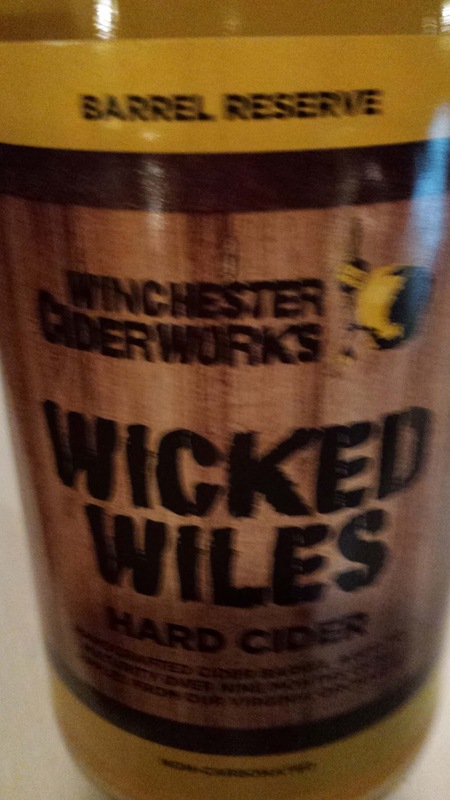 The cider in the Wicked Wiles brand is based off a West English recipe which is then aged in either used Rye or Bourbon barrels. Malo-lactic fermentation softens the acids which allow the cider to blend more easily with the spirit flavors. The spirits still shine through so expect a much richer cider. Located in western Loudoun County this is a new operation where the apples are harvested from the owner's orchard in the Shenandoah Valley. Currently they produce three ciders, the Hatch (a traditional dry cider), Windrush (cider aged in oak and chestnut staves), and Hopscotch (a dry hopped cider). Located west of Charlottesville this is the only cider house not open to the public, although look for their 1965 Airstream Trailer mobile tasting room. This cider house specializes in American farmhouse cider and was founded by college friends Tim Edmond and Dan Potter. And these guys like to experiment. Besides the everyday Farmhouse Dry, they produce a Hop Cider (Citra and Amarillo), Oak Barrel Reserve (aged in used Laird & Company's Apple Brandy Barrels), a Grapefruit Hibiscus cider, and a Raspberries & Brett lambic styled cider. These were all unique and delicious; the latter three cocktails on their own. 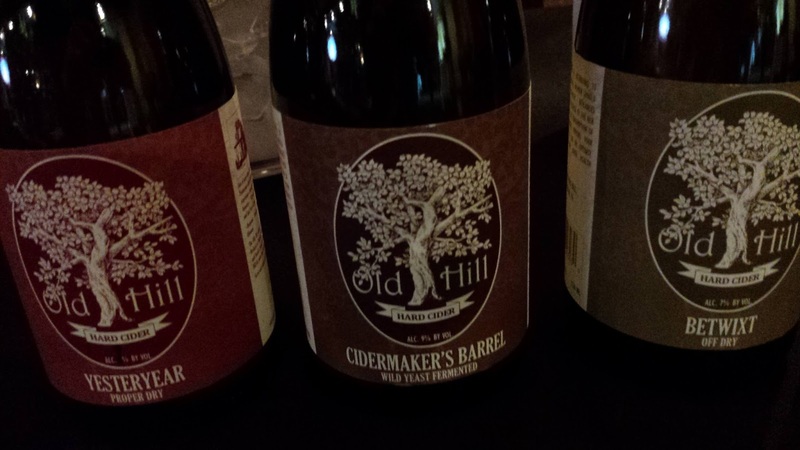 Located near Harrisonburg, Old Hill is based out of Showalter's Orchard in the Shenandoah Valley. They produce a range of styles from dry to off-dry to ice-styled. These are Yesteryear (dry), Heritage (dry), Cidermaker's Barrel (wild yeast and barrel fermented), Betwixt (off-dry), and Season's Finish (ice-styled). The Cidermaker's Barrel was fabulous, both smokey and vanilla - but clear apple flavor and acidity. 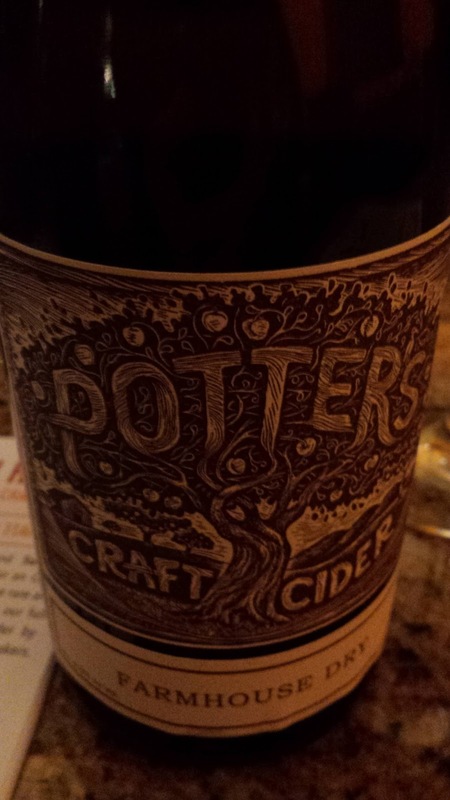 Their dry offerings are also solid and who can resist a nice dessert cider. Located in an old service station on the west side of town, this facility produces both ciders and spirits. They specialize in very dry Virginia Farmhouse style ciders, and I mean dry. The tart apple flavors, tannins, and acids dominate. Their General's Reserve Barrel Aged is cider aged in used Wild Turkey bourbon barrels. 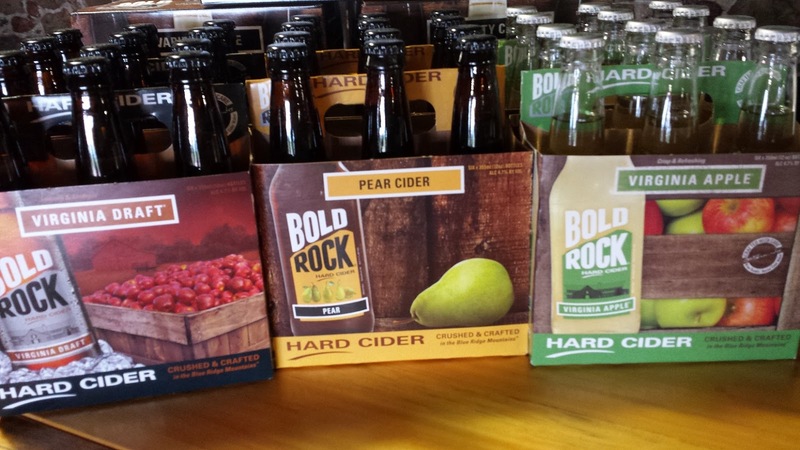 And they offer a few infused ciders: Honey Hard Cider, Ginger Hard Cider, and Blueberry Hard Cider. I've tasted the Ginger, it's not over the top in spices so I would expect the other two to be subtle as well. 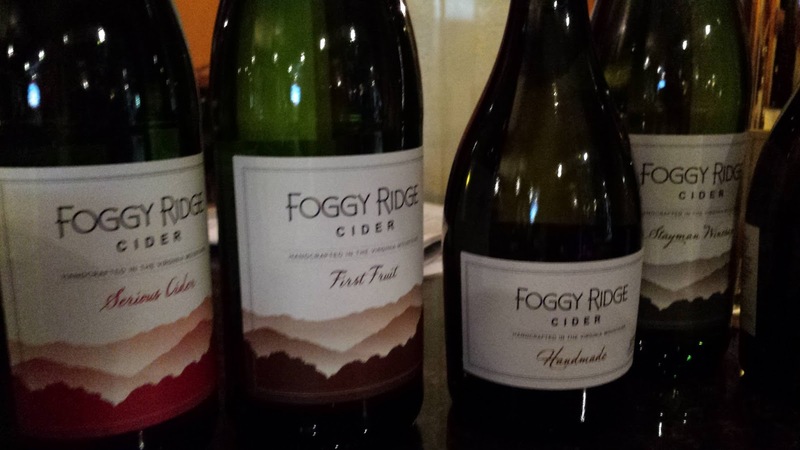 Located in southwest Virginia off the Blue Ridge Parkway, ciders from Foggy Ridge are abundantly available despite their isolated geography. The Serious Cider is a take on English ciders using mostly English apples. On the other hand, First Fruit portrays an American style and Stayman Winesap perhaps a more Virginia style. This cider carries a heavy dose of apple flavors, tannins, and acids. Foggy Ridge also creates two Port styled ciders fortified with Apple Brandy from Laird & Company. These are lovely ciders. Located off Route 66, this operation produces both ciders and wine with your choice of a wine bar or cider pub when you visit. Many of their ciders are flavored ciders like the Pumpkin Spice, Kicken' Cinnamon, Maple Stout, and Ginger Peach and made with traditional consumption apples like Red Delicious, Golden Delicious, and Fuji. Their Traditional Jeffersonian is a very nice dry cider and with a little more sweetness, the Original Honey blends acids and sweet apple flavors. 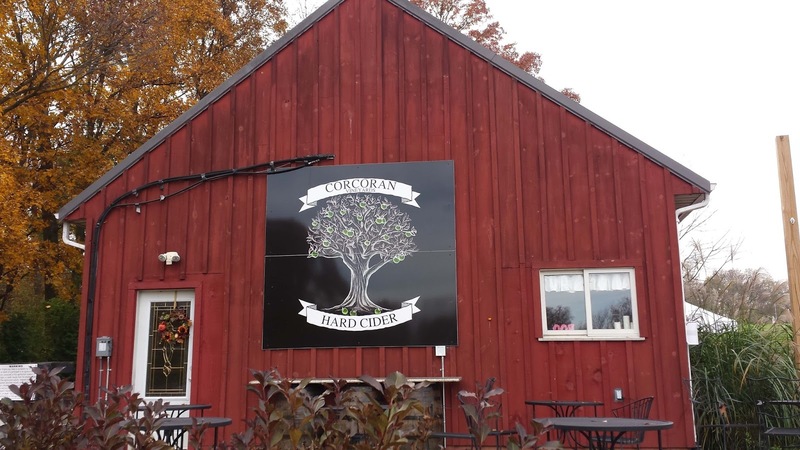 Located near Loudoun County, the Corcorans added cider to their repertoire last year. 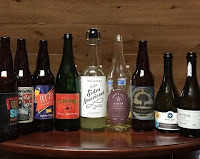 I visited a couple weeks back and tasted through several of their ciders. Their off-dry Sinful was a big hit. Located east of Charlottesville on a large historic estate, Castle Hill hosts a one of kind cider, the Levity, fermented and aged in kvevri buried in the ground. This technique is based on an 8,000 year old process originating in what is today the Republic of Georgia to produce wine. Castle Hill incorporated the approach to produce a fantastic cider. Their Terrestrial dry cider is also a clean fresh cider. Located in beautiful Nelson County near Devils Backbone Brewing Company this is the largest winery in Virginia. 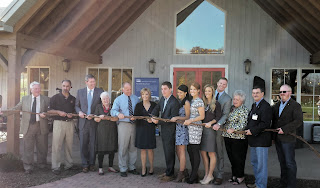 They also have a satellite tasting facility on top of Carter's Mountain in Charlottesville which I visited this summer. Their ciders are sweeter than most in order to be attractive to the broadest audience and you have probably seen their Virginia Apple, Virginia Draft, and Bold Rock Pear in stores. Less available is the Bold Rock IPA (I believe the Virginia Apple recipe dry hopped) and the Vintage Dry. After apprenticing at Albemarle CiderWorks Courtney Mailey headed to the city to open her own cider operation and plant an urban orchard. From that orchard and another in nelson County she creates some of the most delicious ciders in the Commonwealth. Start with the Aragon 1904 - a cider reaping with tart flavors and acids. I never heard of cider referred to as a blush or rose, but that's how she describes her Fanfare, an off dry cider infused with wild mulberries. Loads of plum flavors in this cider. Blue Bee also offers a hopped cider, the Hopsap Shandy with the Citra hops giving a shandy-ish lemon profile. Located south of Charlottesville this operation produces a dozen ciders, mostly single varietals. Whereas my ciders are blends, the single varietal ciders allow you to appreciate the individual variety such as Albermarle Pippen, Goldrush, Black Twig, Arkansas Black, and Winesap. Most of these apples are historically significant and have clear differences in flavor profiles. For the blends, the Red Hill and Jupiter's Legacy have traditionally been my favorites. 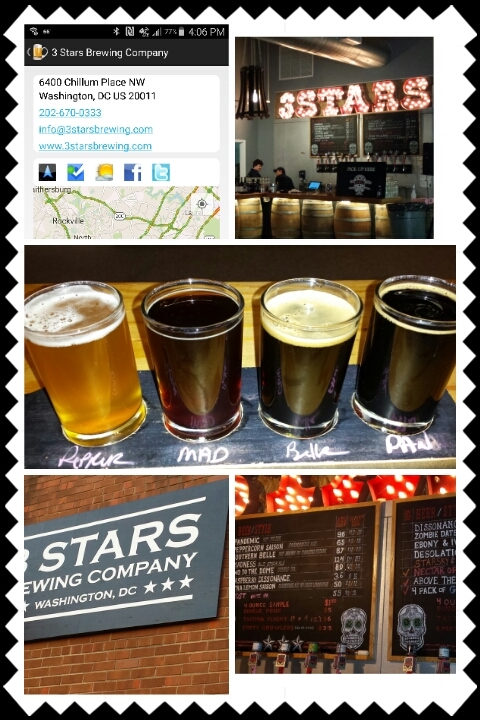 The land along Washington DC's red Metro line is being revitalized - or if you prefer - gentrified and one benefit is the rise of local breweries in these neighborhoods. Silver Spring, Maryland is unrecognizable now from the days when I commuted through that metro stop. 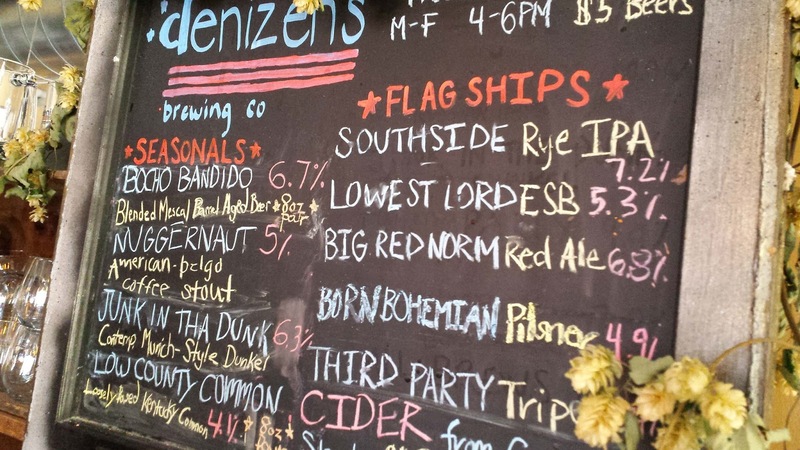 And Denizens Brewing Co. has leveraged the new community by opening a brewery\restaurant last year. This Sunday I returned to the brewery and see that they no longer rely on other breweries for stock - there's a wide selection of everyday and seasonal beers. Knowing it was the first stop in the day, I started with a low abv Born Bohemian Pilsner which is characterized by a tasteful hoppy and salty finish. The brewery also was pouring two sours, the Low Country Common and Bocho Bandido. Both with different levels of tartness and sourness. Give them a try. I also look forward to trying a local winery that just opened close by, The Urban Winery. The winery\restaurant carries local beer, wine, cider, and mead as well as their own wine produced from American and Maryland grapes. 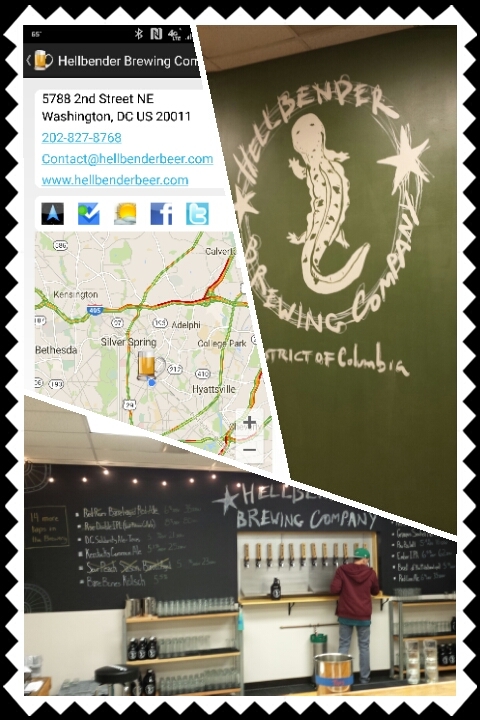 Denizen's is adjacent to the DC line and a few miles down the red line sits 3 Stars Brewing Company and Hellbender Brewing Company. I've tasted the former's over the last couple of years at the stadium or other venues. However this was my first visit to the brewery and I arrived on infant day - as there were at least half dozen families with small children playing or sleeping quietly. The facility was also unusually busy for a Sunday with employees cleaning tanks and hoses. And I can see why, there's a large inventory to fulfill. 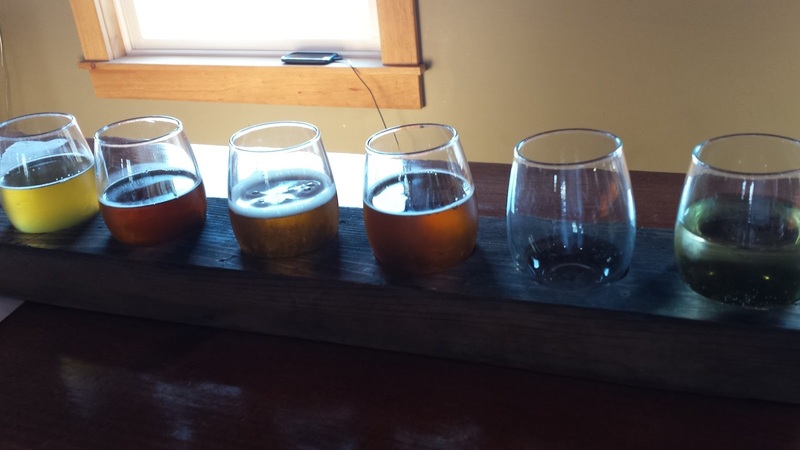 A went with a sampler of Peppercorn Saison, Southern Belle Imperial Brown Ale, Pandemic Imperial Porter, and Madness Old Ale. To be blunt, these beers were phenomenal, especially the Madness. This is a big beer, sweet like chewy dates, but completely dry and smooth at the finish. The Pandemic was next, a bigger more chocolaty beer than your average Porter. Next time I'll stay longer with the help of Uber and also visit on a Saturday so that I can segue a trip to nearby Don Ciccio & Figli and their artisanal liqueurs. Glad to see another DC distillery open. Hellbender was my final destination and the most fun as I was drafted into an hour long UNO game in a company of strangers. This is a neighborhood brewery and it shows as everyone seems more inclined to talk to whomever is sitting nearby. The beer is attractive as well and the brewery had extra on hand after celebrating their one year anniversary the night before my visit. I went with another sampling ranging from a Kolsch to a Stout with the Compass Coffee Stout being spot on the style. Nice name too. The Paw Paw Wit was also representative of it's style, whereas the Bare Bones Kolsch was a little on the maltier side. Like I said, this is a place to just hangout whether watching a game on TV, playing card or board games, or just talking to strangers. Cheers to that. And theCompass Winery, Brewery, Distillery Locator Mobile App will guide you to these locations. This time of year wineries across the country market selected seasonal wines ready to be uncorked for Thanksgiving and Christmas. 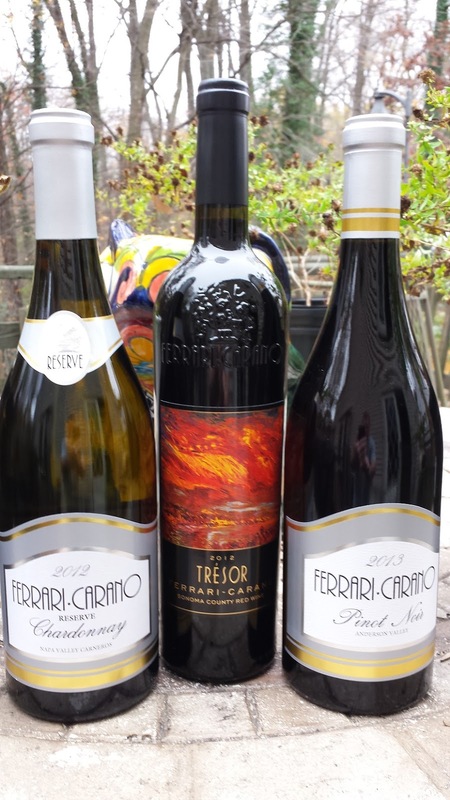 Last week Ferrari-Carano Vineyards & Winery participated in this trend by hosting a #FCWinterWines Twitter tasting. Executive Winemaker Sarah Quider lead this event focusing on three wines they feel fit into this category.A little about Ferrari-Carano first. Don and Rhonda Carano started the winery in 1981 with the initial release in 1987 with a Fumé Blanc and an Alexander Valley Chardonnay. Both Quider and Steve Domenichelli, Director of Vineyard Operations, have worked for the winery for over 25 years which speaks for itself. From those first two wines, the winery now produces dozens of wines sourced from 24 vineyards located in five different appellations. 2012 Ferrari-Carano Reserve Chardonnay Napa Valley Carneros ($38) - produced from Wente clones grown primarily from their Carneros vineyard. The wine is heavily oaked, from primary fermentation, to malolactic fermentation, and aging sur lie (on lees) for eight months. The individual casks are then blended together and the wine is aged an additional five months in neutral French oak. Thus, this is one oaked wine where the spice and malo creaminess are dominant. Initially the Chardonnay flavor gets lost among the oak, but resurfaces near the finish as the acids transport the flavor forward. There is plenty going on within this wine; maybe too much. The winery suggests pairing with shellfish, poultry and richer foods that "enhance this fuller bodied and deliciously creamy wine". 2013 Ferrari-Carano Anderson Valley Pinot Noir ($36) - produced from three ranches in Anderson Valley and processed in a FC owned facility dedicated to solely to Pinot Noir. Why Anderson Valley? Quider mentioned that this region provides more tannins and denser fruit than in Russian River Valley- thus a bigger wine. After primary fermentation, using multiple yeast strains, the blended wine is treated 10 months in new and neutral French oak barrels. The result is an excellent wine starting with the dusty tobacco nose and moving to the creamy red cherry-currant center. The wine finishes rather long, with light tannins and some baking spice. This is a wine well worth sipping on its own, but the winery suggest "salmon, fowl and meat entrees such as beef bourguignon or rack of lamb". 2012 Ferrari-Carano Sonoma County Trésor ($52) - five grape Bordeaux blend (71% Cabernet Sauvignon, 9% Petit Verdot, 7% Malbec, 7% Merlot, 6% Cabernet Franc) harvested from the best lots in the winery's Alexander and Dry Creek Valleys vineyards. After primary and malo fermenting the wine is aged 21 months in various types of French Oak. And the wine stands tall with this oak treatment as the dark fruit is prevalent on the nose and in the palate. There's also plenty of chewy tannins that linger with the acids. Another fabulous wine. If only I could afford it more often.CF suggests that the "Trésor complements lamb, beef and duck dishes that are roasted or braised. Try Trésor with strong-flavored cheeses such as Gorgonzola and sharp Cheddar". I'm thinking brisket. 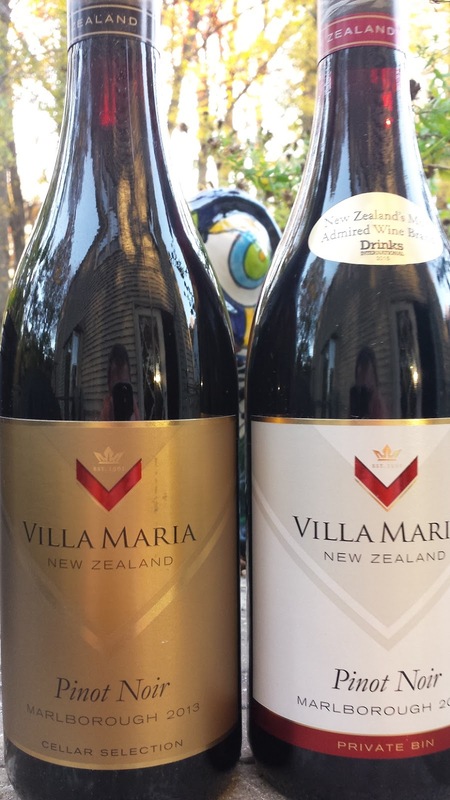 Villa Maria, the New Zealand winery located in Marlborough, introduced their latest release of Pinot Noir by hosting a “First Taste of Fall” #NZPinot twitter tasting. Senior Marlborough Winemaker Helen Morrison and Marlborough Winemaker Josh Hammond participated in order to answer any questions regarding the two wines. These were the Villa Maria 2014 Private Bin Pinot Noir, Marlborough ($17, 13.5) and Villa Maria 2013 Cellar Selection Pinot Noir, Marlborough ($25, 13.5). 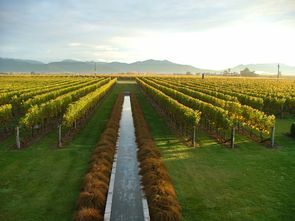 Villa Maria is an iconic brand as evident by Drinks International naming the winery the most admired wine brand in New Zealand. And since it's 1961 founding, the winery is still family owned. As for the wines, they shared a similar fermentation and region (Wairau & Awatere Valleys) with the main difference between the two based on plot selection and barrique seasoning. The 2014 Private Bin was aged in a mixture of stainless steel and seasoned French barriques for 10 months. The result is a very approachable, easy drinking wine. It carries some herbaceous and spicy traits which mingle with the red cherry flavors, then finishes with smooth tannins. On the other hand, the 2013 Cellar Selection was aged solely in new and seasoned French barriques for 10 months. This wine starts smoky and fruity with red cherries and raspberries on the soft, creamy palate, then finishes smooth w/subtle tannins and spice. Both ready for the “First Taste of Fall”. Cheers. The latest trend to hit the farm winery scene is the co-habitation of wineries and breweries offering a wider range of products to attract an audience. Corcoran Vineyards & Cider was perhaps the first to establish this amalgamation in the DC area, and others quickly followed in the Commonwealth. In Maryland, a couple of brothers have gone rogue and combined wine, beer, and cider at the Linganore Winecellars and Red Shedman Farm Brewery facilities. And with more lenient tasting regulations, the overall visit is much more enjoyable. 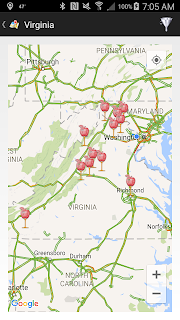 In Virginia, the two operations must be completely segregated where beer must stay in one boundary, wine in another. Absolutely no mixing of the two onsite. 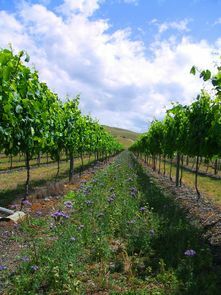 However, in the Free State, visitors are free to walk around the winery grounds with a pint and Linganore wine can be brought into the brewery. Imagine that Virginia. 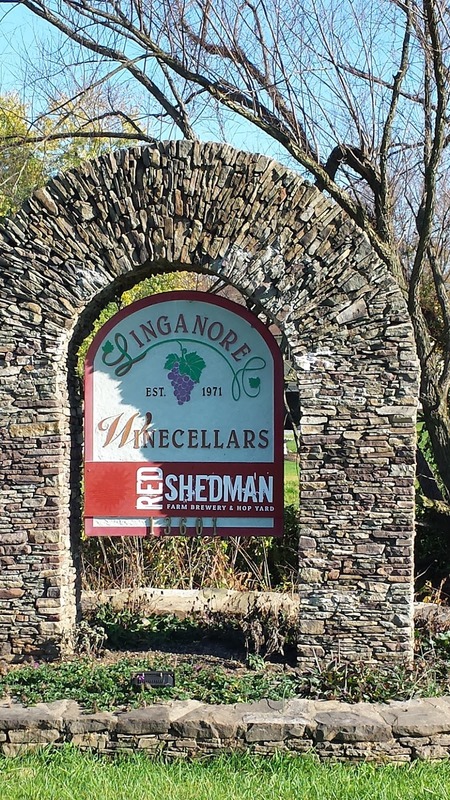 Linganore is one of the oldest operating wineries in Maryland, established by Jack and Lucille Aellen in 1971, and succeeded by their son Anthony in the early 1980s, with another son Eric later managing the vineyards. The winery is known for their broad portfolio of sweet to dry wines as well as their numerous music festivals. Another brother Victor stayed out of the family business for most of his adult life until he escaped corporate America to work in the brewery industry in Grand Rapids Michigan. Eventually the Aellen's decided that adding a brewery to the successful winery would be the next logical progression so Victor returned to start Red Shedman. And Victor established their farm brewery credentials by cultivating several varieties of hops such as Cascade, Columbus, Chinook, Nugget and Crystal. The brewery offers several styles of beer brewed from their fifteen-barrel brewhouse at the bottom floor of the facility. They also produce a cider, Silo Hard Cider, that is quite nice - very sweet and fruity up front, but finishes completely dry and tart. When visiting the brewery flights range from $8 to $10 for six beers. 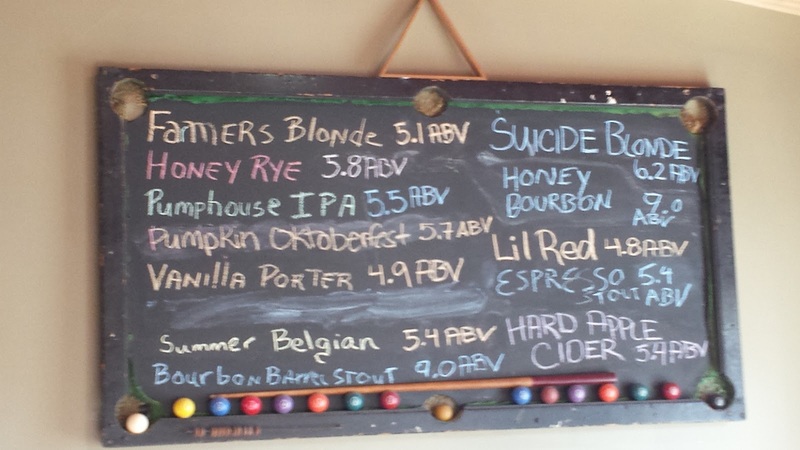 Besides standard IPAs and Blondes the brewery creates unique beers such as the Suicide Blonde White IPA (part classic Belgian Wit and part dry hopped IPA), Honey Rye, and Vanilla Porter. These were my favorites and I believe all available in cans. 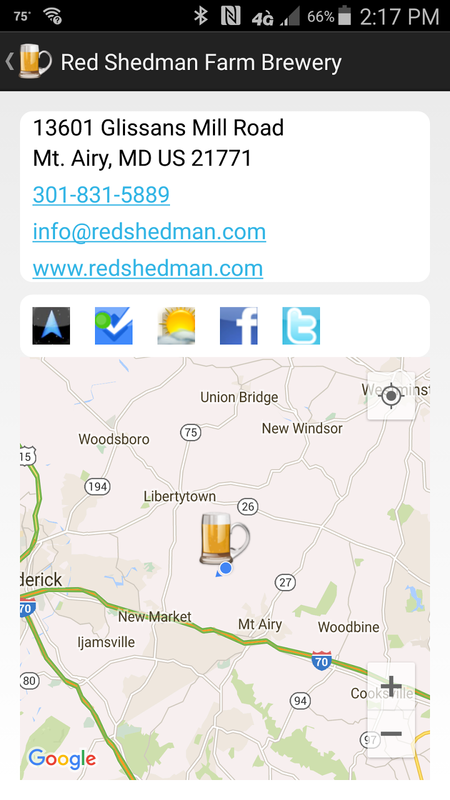 Cheers to Maryland wine and beer and as usual theCompass Winery, Brewery, Distillery Locator Mobile App can guide you to their location. Since it's inception, visitors to Old Westminster Winery were constricted to the winery's crush pad and a small area in the winery. In order to alleviate this situation the winery built a new spacious tasting facility with plenty of indoor and outdoor seating as well as unique oak tables and counter tops. And this weekend the winery is ready to celebrate the grand opening of this building. On Thursday the winery held a Vine Cutting ceremony in order to give thanks to state and federal officials who facilitated its construction and to provide friends in the industry a sneak peak. Through several speeches, two facts became readily apparent. 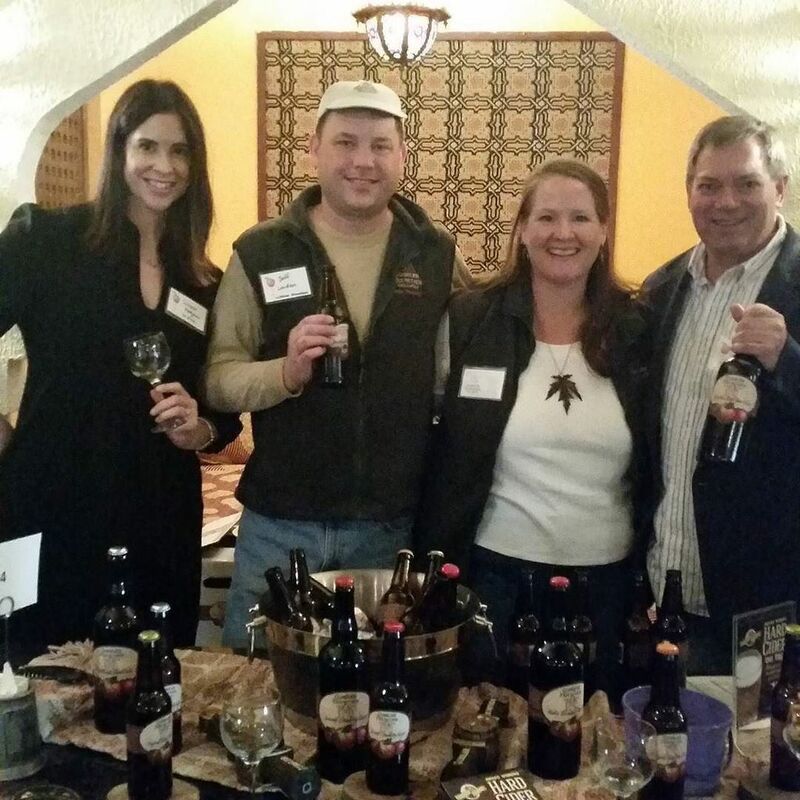 First, Carroll County Maryland understands that farm wineries and breweries are important facets to the county's economic development, housing values, and land preservation. 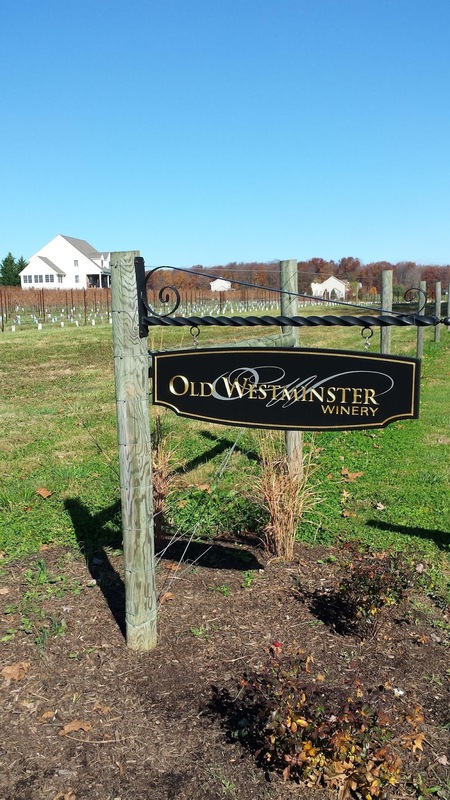 Second, Old Westminster is gaining a wide reputation as one of the top producers in Maryland. Al Spoler, Cellar Notes on 88.1FM WYPR, is obviously a huge fan but so is Andrew Stover, who has been pimping their Albarino for the past year. I've had my share of samples and readily agree with this assessment, from Chardonnay at the 2013 DrinkLocalWine.com Conference to Thursday's samples of Greentone and Revelry, First Edition. The Revelry is an easy drinking blend of five Bordeaux varieties whereas the Greentone is a blend of 65% Sauvignon Blanc and 35% Viognier - both grown in the foothills of Maryland’s South Mountain. Dr. Joe Fiola mentioned that it's extremely rare in Maryland to produce a blend with Sauvignon Blanc (as it can overwhelm the other grapes), but Old Westminster exceeded so much this wine was awarded the Best White Blend at the 2015 Governor's Cup. Needless to say a visit to the winery is highly recommended. 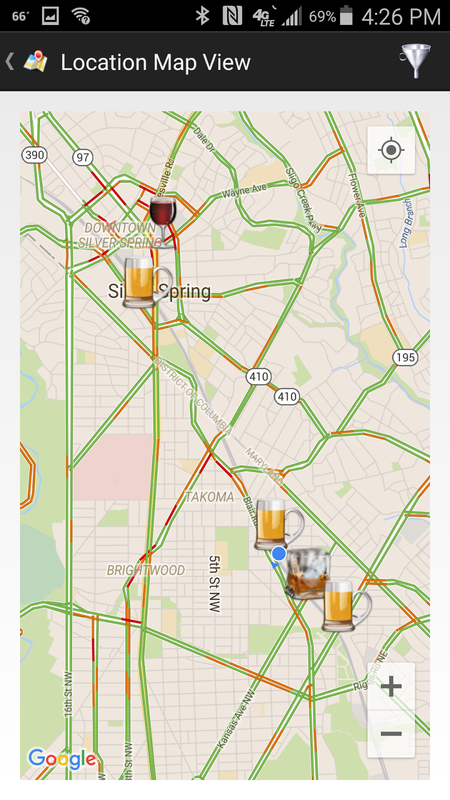 And as usual, theCompass Winery Brewery Distiller Locator app can guide your there. Cheers. 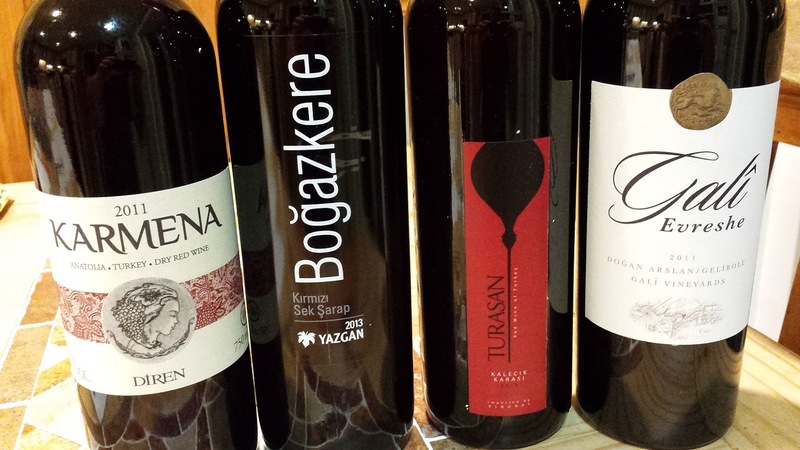 VinoRai returned to #WineStudio in October joined by Chief Wino Andrew Stover who has introduced the DC market to these Turkish Wines. You can read about our coverage of VinoRai and Turkish wine here, but a quick summary is that traditional grapes are grown in central Turkey (Anatolia) and mostly international varieties near the coast. In fact locals prefer these international varieties more than wine from indigenous grapes since they are considered more noble. And yes Turkish tasting wines from international varieties allows us to compare the grapes to other regions, but I am more intrigued with the long ancient tradition of the indigenous varieties such as Kalecik Karasi, Öküzgöz, and Boğazkere. 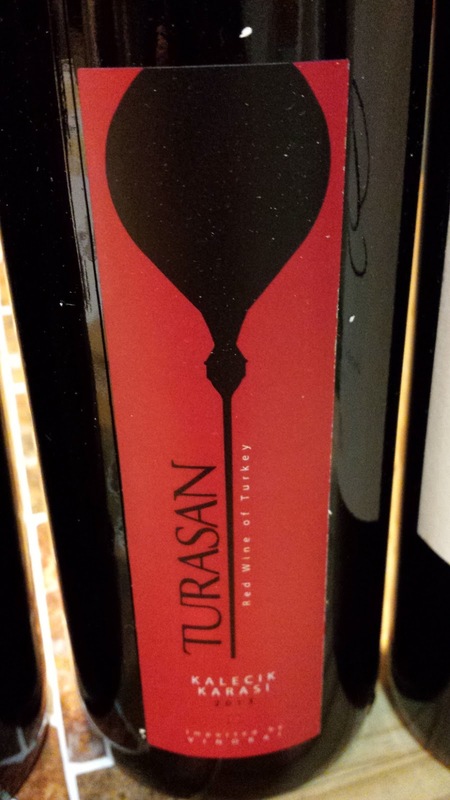 Turasan 2013 Kalicek Karasi (13%) - Turasan is one of Turkey’s oldest and largest wineries with its founding in 1943. It is now run by third generation Hasan Tursan with Edouard Guérin the winemaker. The winery is located in high altitude Cappadocia (Mid-Southern Anatolia), which is best known for the white grape Emir and blue-black grape Kalecik Karasi. The region provides limited water supply so grapes take longer to reach full maturity - producing intense fruit. The Kalecik Karasi was almost extinct, but resurrected to to the efforts of Turkish and French experts and the Ankara University Faculty of Agriculture.The name Kalecik Karası means the “black from the small castle” and in fact the small village of Kalecik contains a castle. The Turasan 2013 Kalicek Karasi is bright and tart with fresh red fruit and a little cinnamon on the tail. I can see why Kalicek Karasihas been called the Pinot Noir of Turkey. 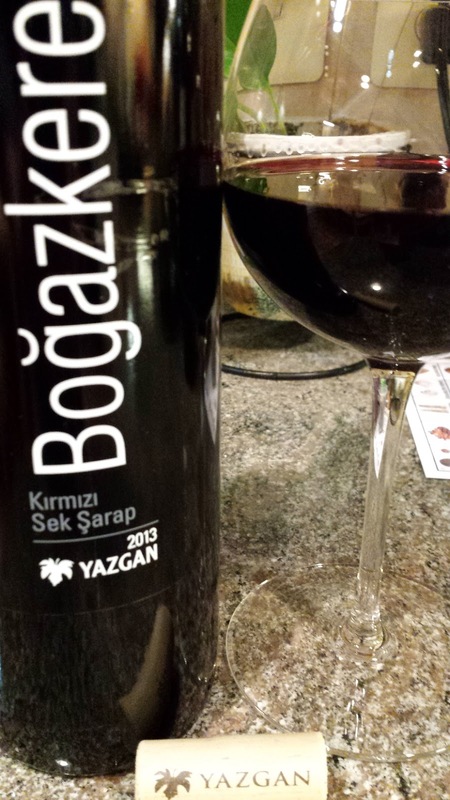 Yazgan 2013 Bogazkere ($20, 13%) - Like Turasan, Yazgan is one of Turkey’s oldest and largest wineries and is located in Izmir - near the coast bordering the Aegean Sea. The winery was founded by Mr. Huseyin Yazgan in 1943 and whereas the family is still involved, Antoine Bastide D’Izard is currently the winemaker. Being an indigenous grape, the Boğazkere fruit is sourced from the Diyarbakir province in SE Anatolia. In fact Diyarbakir is considered Boğazker's native province where the grape thrives in the hot, dry Continental summers and cold, wet winters. The word Boğazker translates to throat burner since the thick-skinned red grape produces murky full-bodied and tannic wines. The 2013 Boğazkere starts with a cherried tobacco aroma, with sour cherries and dark fruit on the palate, and finishing with prevalent yet manageable tannins. A very solid wine. 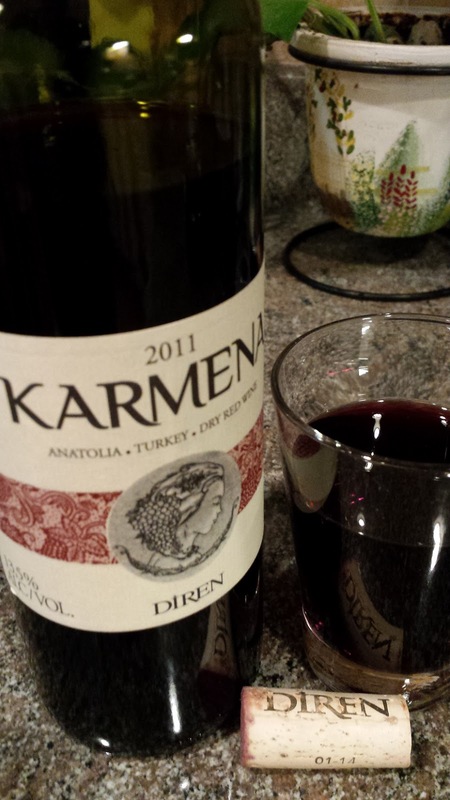 Diren 2011 Karmena Red Blend (13.5%) - Since it's founding in 1958, the Diren Winery has focused on indigenous Turkish varietals in the Tokat region of Anatolia. In 1985 Mustafa Vasfi Diren transferred the wine making duties over to his son Ali Diren who has continued the tradition of promoting indigenous varietals. The 2011 Karmena Red is a blend of five grapes (35% Öküzgözü 30% Syrah, 15% Merlot, 10% Cabernet Sauvignon 10% Boğazker) with each providing a unique characteristic to the final wine. According to the winery, "Okuzgozu grape lays a framework of luscious red fruits in the wine, with Bogazkere providing tannin and backbone. To these we add Cabernet Sauvignon for its body, Syrah for its spiciness, and round it out with Merlot for its supple character." The wine is extremely friendly, juicy and smooth, with a slightly spicy - but long juicy finish. 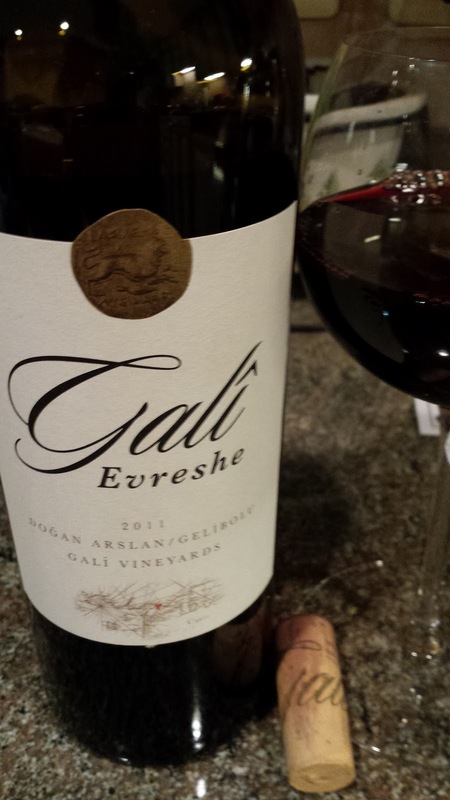 2011 Gali Evreshe ($25, 14.5%) Bordeaux blend Merlot, Cabernet Sauvignon, and Cabernet Franc from estate vineyards adjacent to the Aegean Sea on the Gallipoli Peninsula. The first impression was a candied hot aroma followed by more candied fruit, finishing with big juicy tannin. This is a wine that must be decanted - surprisingly so since the wine meets zero oak. After settling, the heat and candied character diminishes providing more juicy flavors, but still plenty of tannins. Or as +vtwinemedia tweeted " Right Bank Bordeaux backbone; Napa-like power; Stony structure all its own". Yesterday several cider enthusiasts met at Loudoun County's Corcoran Vineyards & Cider in order to sample most of their cider portfolio as well as several ciders from across the Commonwealth. I also threw in a Maryland cider from Millstone Cellars that I thought our group would find interesting. Jim Corcoran asked us to access the ciders not only in relation to each other but which styles would attract the broadest audience. In answering the last question, there was a general consensus that the off-dry Corcoran Sinful and Blue Bee Aragon 1904 were not only the group's favorite but would also have the largest appeal. Both ciders shared a full apple profile with refreshing acidity. 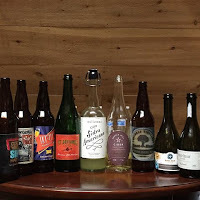 As for the group, I was impressed by the diversity of styles and thought all the ciders enjoyable and worthy purchases. 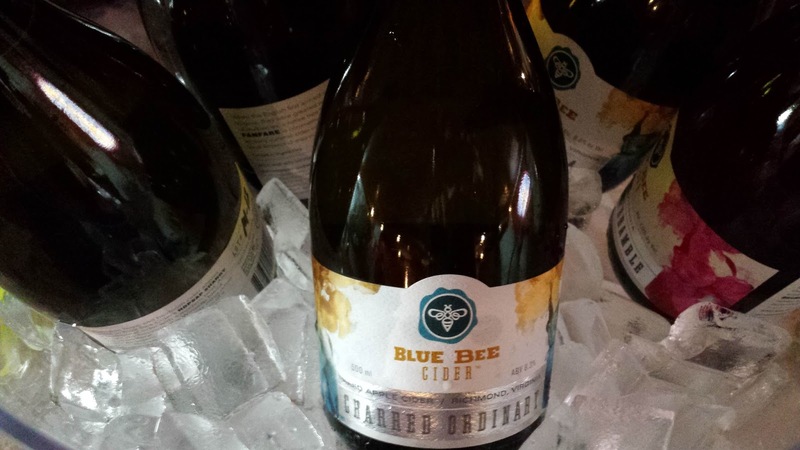 Blue Bee Cider Aragon 1904 - An off dry cider from a blend of modern and heirloom apples. Full of flavor, slightly tart - nice acids. Castle Hill Cider Terrestrial - Lighter dry cider made from Winesap and Albermarle Pippen apples. Tart acids on the tail. Corcoran Vineyards & Cider Sinful - Off dry, full of apple flavors, nice acids. Corcoran Vineyards & Cider PoPo Peach - The cider is fermented in barrels that previously housed peaches, imparting a very subtle peach character. This cider grew on me after subsequent sips. Corcoran Vineyards & Cider Knot Head - A “secret” blend of seven locally grown apples aged a few weeks in Bourbon barrels. The smoothest of the ciders. Corcoran Vineyards & Cider Hop n' Pop - Dry hopped hard cider that possesses a slight oily - yet very clean finish. Foggy Ridge Cider Handmade - Dry cider made from predominately Newtown Pippin apples with some Gold Rush. Softer style. Millstone Cellars Sidra Americana - Rustic Basque style cider made from Stayman Winesap and Jonathan apples fermented using native yeast and then oak aged sur lie in oak. Funky and sour - lactobacillus sour. Mt. 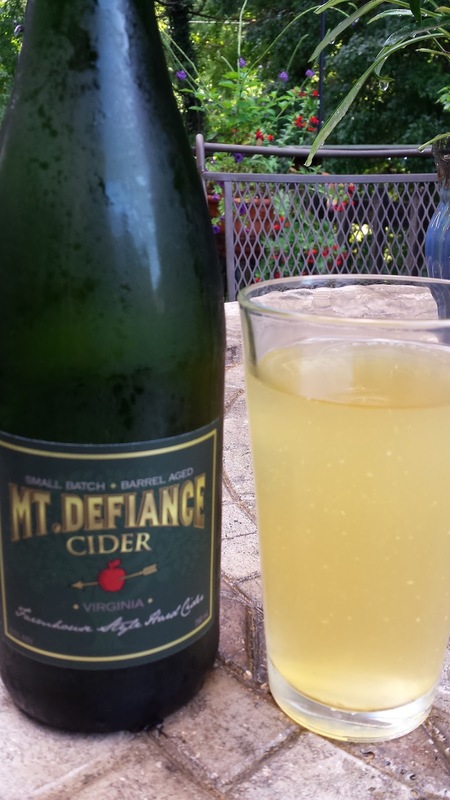 Defiance Cidery General's Reserve Hard Cider - The cider house's Farmhouse Style cider aged in an bourbon barrels. Very dry lighter profile with a touch of caramel.